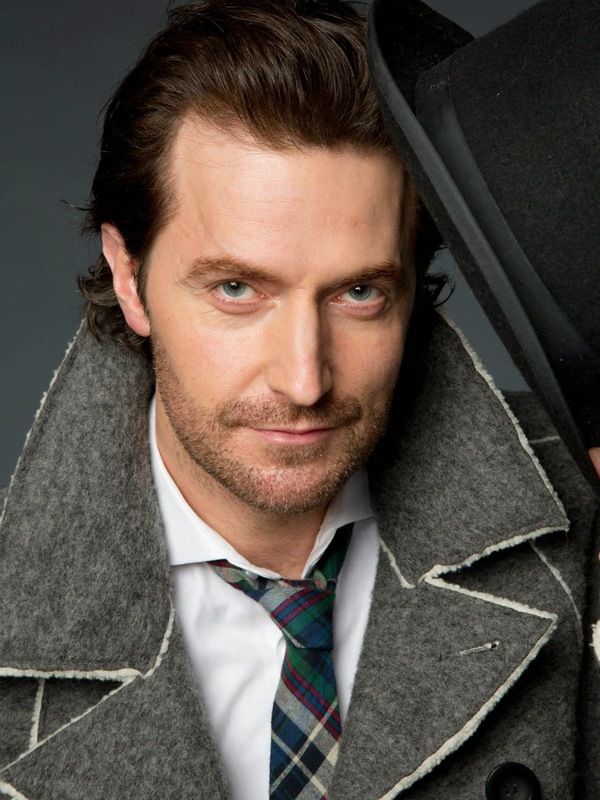 Given the hour (4:41 a.m.), the fact I haven't had any sleep yet, the crazy freezing rain that coated everything in sight all day AND that cabin fever has set in and we aren't even a month into winter, it may not be the best idea to write my ode to Richard Armitage. But since I have given my disclaimer, let's do it anyway. I wrote a ginormous thing about the man last year. It was posted over on Frenz's site for several reasons, none of which I can actually remember. (Note the disclaimer in paragraph one.) It was also so wordy that it took two posts for me to get to the point. If you want to jump in with both feet, the first post can be found here. I sensed impending doom fun last week when I saw that Frenz wanted to spontaneously combust begin FanstRAvaganza 2014 right now and willingly held my virtual hand up and said "Count me in." Then she posted we needed to do a thing about that thing you-know-who does so well. See the title of the post. And in these wee hours, after about 90 minutes of playing oddball music on my computer and then tweeting YouTube links on my Twitter, I have realized a few things. You can never have too much Cheap Trick and "I Want You to Want Me." Go right ahead and judge me on that. Billy Idol was pretty tame compared to some of the nuts you see today. The internet totally spies on you and tempts you with things that you really want. Like putting up an ad for a trip to New Zealand when I am trying to concentrate on Billy Idol's snarl. All I could think of was Smaug when I started playing "Burning Down the House." I never get tired of watching Robert Palmer's "Addicted to Love." Turn. It. Up. I would rather listen to "Simply Irresistible" than watch the video. That said, replay, replay, replay. “Sharp-Dressed Man.” Must I elaborate? “Lust for Life” has the best 70-second opening of a song ever. I am not sure any other song has a 70-second opening, but be that as it may, I still love it. The lyrics, however, are completely out of left field. “Hypnotizing chickens” ... just ... blows ... my ... mind. Bobby Darin makes me think of Richard Armitage. 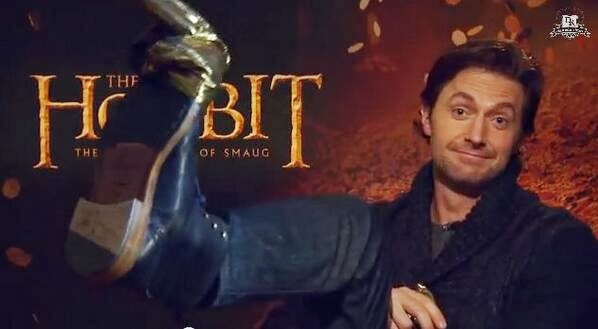 I was, once again, pulled into the Armitage Vortex (which is simply the inferno version of the polar one) with the run-up to the release of “The Hobbit: The Desolation of Smaug.” I was overwhelmed with all of the junketing and surely missed a good portion of junkety stuff. I was thrilled so many Twitter peeps got to see Richard in person this year. I even got a book sent to me that he signed after an event in London. 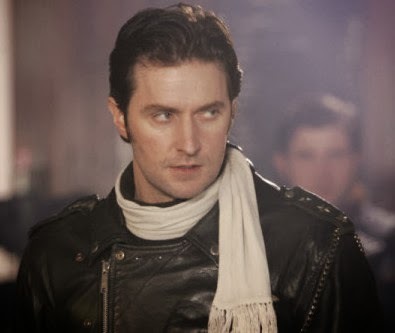 I got stuck about two hours ago on “Between the Devil and the Deep Blue Sea.” And Richard. All I have to say is that at this moment, it shows my vulnerability, no matter how fine the man is. At least it is rather insouciant. Take that, Mr. Fine, even as you jauntily tip your hat at me. Here’s the video with the lyrics below. 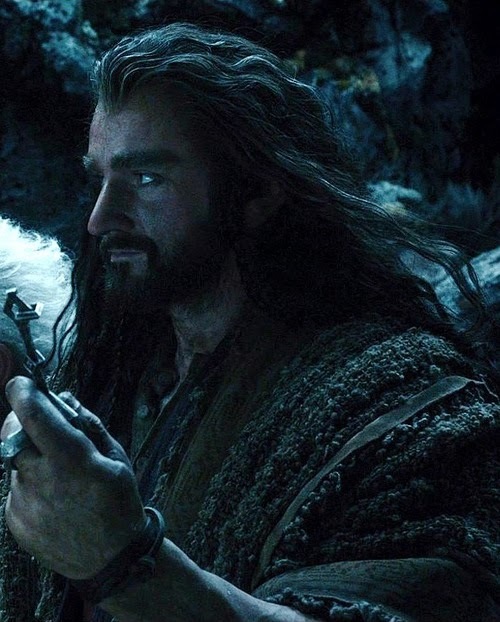 in "The Hobbit: The Desolation of Smaug"
Definitely a different take on things. I've got the song on as I write this. We've been eavesdropping on each other's tweets for while. Nice to meetcha. Yep, you saw something fine aright - all of us have! You introduced me to a new song by Bobbie Darwin. The lyrics are so appropriate for the struggles I sometimes go through about this unique and so fine British actor. I too am caught in a 3rd dimensional sphere between "The Devil and the deep blue sea" and I keep going back for more!